SHAH ALAM, Nov 26 ― Selangor’s plan to auction its towering piles of plastic waste shipped in illegally from China this year for recycling is fast unravelling after three legit factory operators snubbed a recent sale, saying the garbage mountain is too contaminated or costly to process. With 17,000 metric tonnes of plastic seized from 30 illegal recycling plans that could fill roughly four football fields, the state government is wracking its brain for solutions that will not entail the landfill ― which will not only be at the expense of taxpayers but also the environment. Selangor Local Government, Public Transportation and New Village Development committee chairman Ng Sze Han declined to disclose the exact cost to taxpayers, but indicated it could be in the “millions”. “The plan was to auction off the rubbish that was left outside the premises at Kuala Langat that wasn’t successful, because too much of wastage that cannot be recycled,” Ng told Malay Mail in an interview at his office here last week. “The content that could have been recycled was too little,” he added. Between January to July, close to 500 million tonnes of plastic waste made its way to Malaysian shores, a three-fold increase from last year and driven mostly by a Chinese import ban as it struggles with its own pollution concerns. Most of the imported waste ended up dumped in Kuala Langat and Klang, the two districts in Selangor closest to the country’s main shipping hub in Port Klang. In raids conducted in the middle of this year, authorities found over 100 illegal factories in Kuala Langat alone, many of them Chinese-owned. In Klang, close to 40 such factories are reportedly still operating despite a federal blanket ban on importing rubbish for recycling. Ng admitted that putting a lid on the entire illegal plastic recycling trade may be impossible. He said it is tough for local councils to enforce the law on illegal recyclers who run fly by night operations. “If we take action here, they just relocate because it’s easy their equipment are what we call low-investment. “Now I heard they’ve moved to other states like Negri Sembilan, Johor, Kedah and even Melaka,” the state executive councillor said. Poor enforcement aside, corruption is another major factor why illegal recyclers continue to thrive. Industry sources told Malay Mail in July that bribery of officials was common knowledge, an allegation Selangor Pakatan Harapan lawmakers have levelled against the previous government of Barisan Nasional, their political rivals. Policies around the plastic garbage involve both federal and state agencies. At the national level, the Ministry of Housing and Local Government regulate licencing while environmental codes and compliance inspections are conducted by the Ministry of Energy, Science, Technology, Environment and Climate Change. State government and local councils, on the other end, regulate land matters and operational licencing. The latter’s jurisdiction to enforce compliance of environmental laws is limited. When an illegal recycler moves into a different district to avoid capture, the respective town council will be roped in for inspection and the whole process will have to start anew, Ng explained. The involvement of multiple agencies adds to the red tape, which Ng suggests as a possible reason why enforcers appear slow to act. A raid, for example, involves multiple state and federal agencies, sometimes up to nine. “It is not easy for local councils to do enforcement alone. We need the joint action of other agencies because local councils alone, we cannot do much we cannot cut their supplies, we need the Immigration Department to do this, we need the police [to make arrests],” he said. The federal government is finalising details of its ban on non-recyclable plastic waste imports and expects it to be ready by year end, Energy, Science, Technology, Environment and Climate Change Minister Yeo Bee Yin said last month. A joint ministerial committee to oversee the process has been established, she added. Housing and Local Government Minister Zuraida Kamaruddin said the ban is not expected to affect the entire recycling industry, estimated at RM3.5 billion annually. Even then, the ban may be ineffective in curbing the indiscriminate import of non-recyclable plastic waste given the lax enforcement, nor would it solve the growing dump in Selangor, which at the current rate looks to be headed for burial in landfills. According to Ng, disposing each tonne of plastic waste costs RM35, excluding transportation to the landfill. That means getting rid of the 17,000 tonnes will cost over half a million ringgit at least. 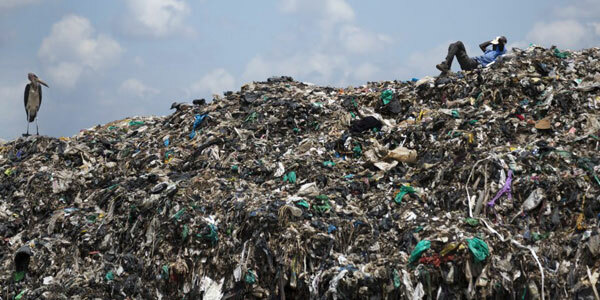 “The landfills can take in any form of waste,” the Kinrara assemblyman said. He also sought to allay concern over long-term pollution concerns, saying state-owned solid waste management companies “have their ways of managing it”. But Ng also disclosed that at this point, the state government has no idea how much imported non-recyclable plastic waste has accumulated in Selangor as the number of illegal factories that have mushroomed since July is now said to be in the hundreds. Plastic dumped in landfill interacts with water and can form hazardous chemicals. When these chemicals seep underground, they degrade the water quality, studies on the effects of plastic dumping have found.